Use the market standard of the financial industry for the occupational pension scheme of your employees. Germany's old-age pension system consists of three pillars. As the statutory part has been decreasing in the last years, occupational coverage today plays an important role and is sponsored by the government. The standard retirement age in Germany is 67. However, an earlier or later start of retirement is possible. 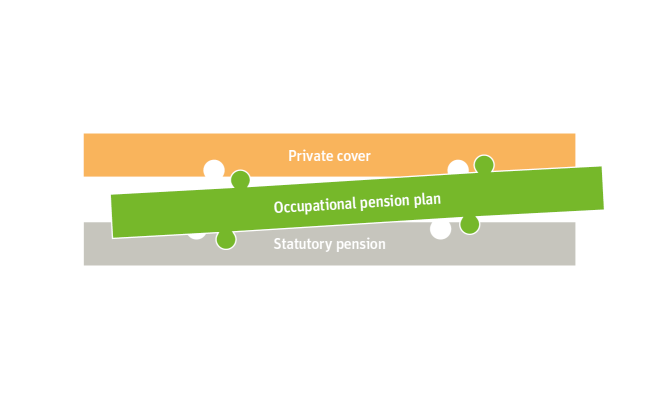 In the finance sector, occupational pension plans are often salary-linked and jointly financed by the employer and employee. The government offers tax benefits: Contributions are deductible as business expenses for the employer and largely exempt from income tax for the employee. Pensions will be taxed when paid out to the beneficiary. 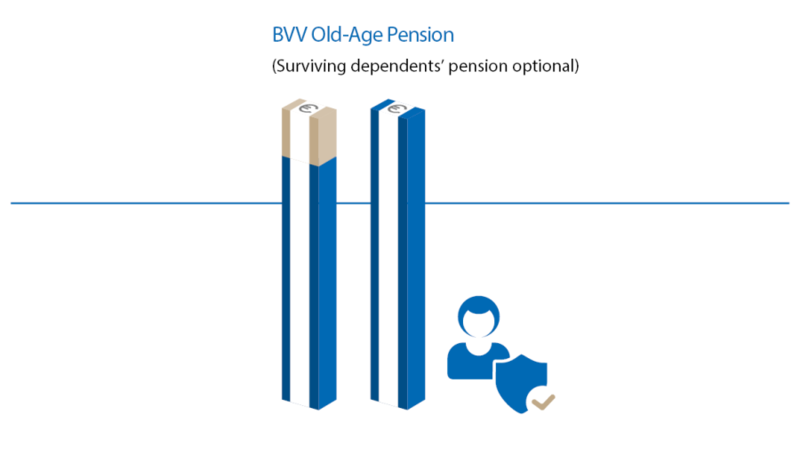 Measured by its capital investment volume, BVV is Germany's largest pension institution. Our members include companies from the private banking and financial services sector, cooperative institutions, associations, pension institutions, auditing and trust companies, tax consultants, insurance companies and brokers. Good to know: As a member-owned pension institution all BVV pension solutions are free of commissions or acquisition fees. 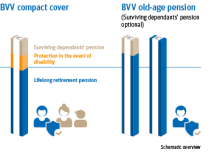 As a member of BVV, we will be happy to offer you an individual solution that fits your company's needs. 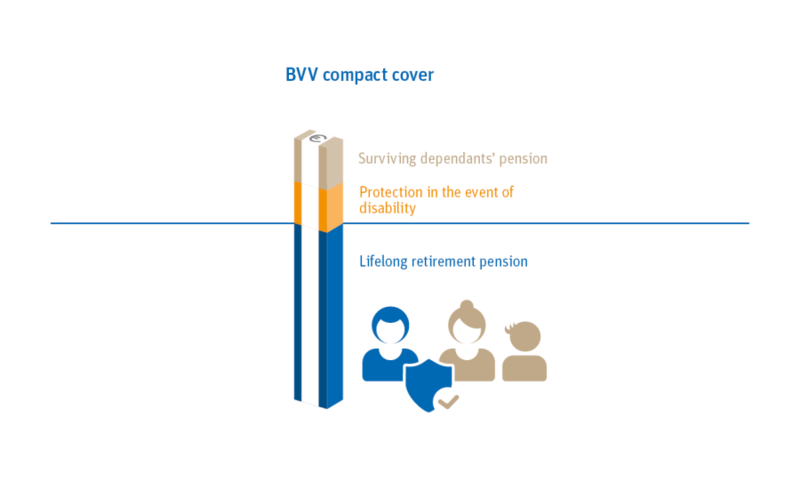 In addition to the statutory pension insurance, a wage-based monthly contribution is paid to BVV by the employer. The employee may participate in the payment by way of deferred compensation. Each contribution will be credited to a personal BVV pension account. Later benefits are derived from the sum of accrued pension increments plus possible surpluses. Your employees can increase their retirement pension individually, profiting from tax benefits and our excellent tariffs. This additional deferred compensation scheme is financed by the employee only. We also provide brief English information for your employees.